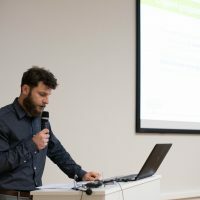 Zelena Energetska Zadruga (ZEZ) organized the event in Križevci, Croatia presenting an overview of the Horizon2020 EU project COMPILE while emphasizing the leading role of ZEZ involvement in the demonstration site Križevci. Within demonstration site and with support of COMPILE, ZEZ also presented a new campaign addressing the continuation of the action “Sunny roofs” (cro. 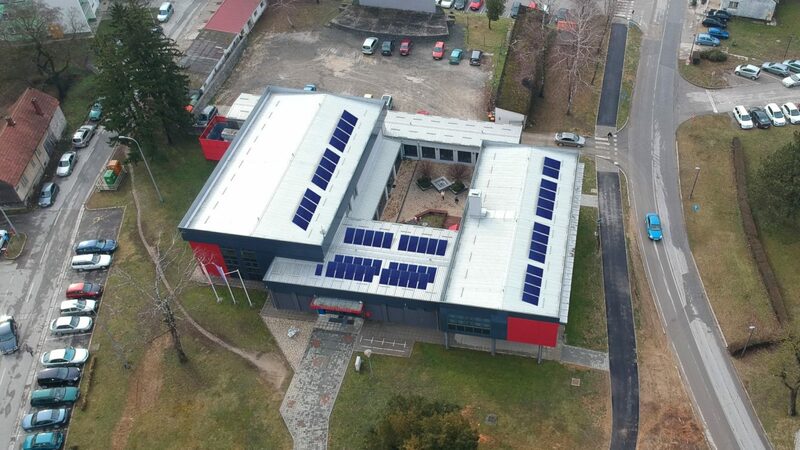 “Sunčani krovovi”) for crowd-lending investment in sustainable projects – photovoltaic powerplant on the roof of city library, which will have a positive impact on the society and environment. The event was successful with the excellent atmosphere with more than 100 participants. 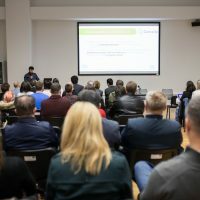 The success of event and interest of the public in green development is shown through the fact that ZEZ reached the goal in just 48 hours after start of the campaign. The construction of PV and development of the whole campaign will be published on COMPILE website and newsletters, so please subscribe to our newsletter. More information about the event (only in Croatian language) available here.